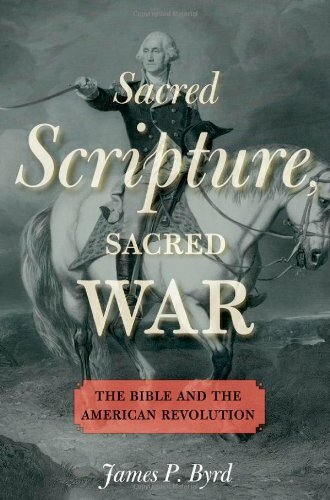 James P. Byrd, Sacred Scripture, Sacred War: The Bible and the American Revolution (New York: Oxford University Press, 2013). 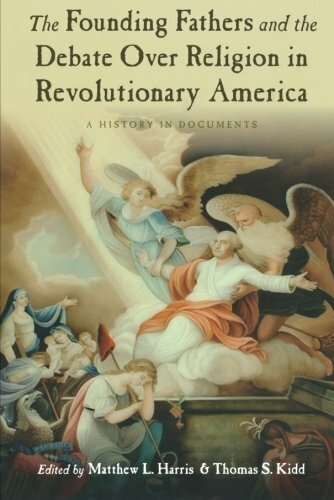 The history of the American Revolution is, above all, a story about national beginnings, and stories about beginnings are stories that explain. How we understand our origins informs our sense of identity as a people. We look to the past not only to understand who we are but also to justify who we wish to become. And so, as a nation divided over the proper place of religious belief in the contemporary public square, we naturally debate the place of religious belief in the American founding. Outside of the academy, much of that debate has focused on a simplistic, yes-or-no question: did religious belief play an important role in the American founding? This makes sense if the primary motive is to score points in the culture wars, mining the past for ammunition to use against secularists who deny that the United States was founded as a Christian country. There’s a problem with the history-as-ammunition approach, however. It’s good for bludgeoning opponents with, but it positively discourages sustained moral reflection, the kind of conversation with the past that can penetrate the heart and even change who we are. In contrast, books like Sacred Scripture, Sacred War have the potential to challenge us deeply. Granted, author James Byrd inadvertently offers ammunition to readers cherry-picking evidence for a Christian founding. He matter-of-factly contends that sermons were more influential than political pamphlets in building popular support for independence, and he insists unequivocally that “preachers were the staunchest defenders of the cause of America.” And yet the question that really interests him is not whether religion played an important role in the American founding but how that it did so. More specifically, he wants to understand how colonists used the Bible in responding to the American Revolution. To the patriotic ministers who declared them from the pulpit, the lessons embedded in these stories were indisputable. God championed the cause of independence. A warrior who liberated his people by means of war, the Lord clearly sanctioned violence in the pursuit of freedom. Furthermore, he would intervene on their behalf, and with God on their side, the ill-trained and poorly equipped patriots would be victorious. This meant that loyalism was rebellion against God, and pacifism was “sinful cowardice.” Had not the angel of the Lord cursed the people of Meroz because they did not come “to the help of the Lord against the mighty” (Judges 5:23)? Had not the prophet Jeremiah thundered, “Cursed be he that keepeth back his sword from blood” (Jer. 48:10)? If the biblical argument in support of the Revolution was to succeed, of course, patriot ministers knew that they must buttress these arguments with support from the New Testament. This was no simple task, inasmuch as the apostles Peter and Paul both seemed to condemn rebellion and teach submission to rulers as a Christian’s duty. Paul enjoined the church at Rome to “be subject to the governing authorities” (Romans 13:1); Peter commanded Christians to “honor the king” (I Peter 2:17b). Neither admonition seemed to leave much room for righteous resistance to civil authority. 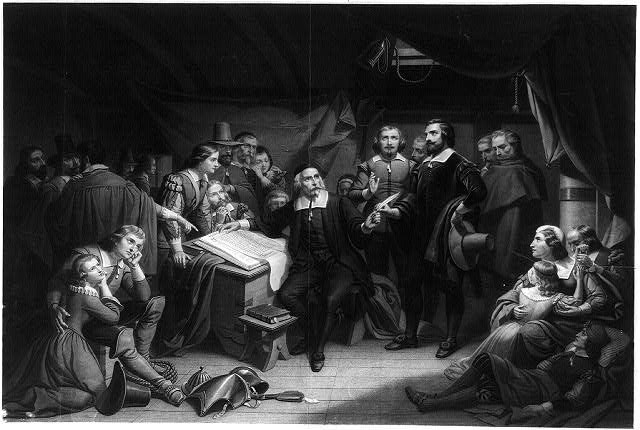 Third, and most ominously, the evidence suggests that the way patriotic ministers portrayed the military conflict with Britain morphed rapidly from merely a “just war”—a war originated for a morally defensible cause and fought according to moral criteria—into a “sacred” or “holy war”—a struggle “executed with divine vengeance upon the minions of Satan.” Patriotism and Christianity had become inseparable, almost indistinguishable. Byrd writes with restraint and offers little commentary on his findings, but the implications for American Christians are sobering and the stakes are high. As Byrd acknowledges in his conclusion, over time the United States has come “to define itself and its destiny largely through the justice and sacredness of its wars.” American Christians have played a major role in that process of national self-definition, all too regularly sanctifying the nation’s military conflicts as sacred struggles. THE PULPIT AND THE AMERICAN REVOLUTION–A MODEL TO IMITATE? 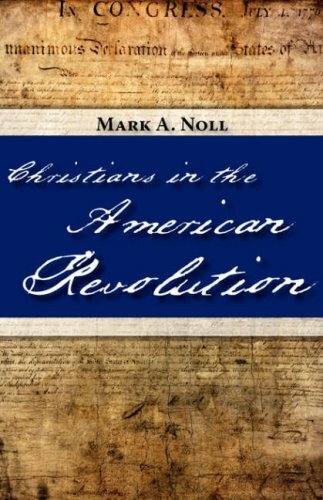 Historian Mark Noll has lamented that by the time of the American Revolution “the thought and activity of the American churches tended to follow the thought and activity of the American nation,” not the other way around. With painstaking thoroughness, James Byrd reaffirms that conclusion, showing that the pattern even defined how revolutionary-era Christians read their Bibles and thought about war. It’s Memorial Day Weekend, the thermometer is hovering near eighty degrees, and the aroma of my neighbor’s charcoal grill is wafting through my open window. This can only mean one thing: It’s time to read! Nine months out of the year I am a teacher, but three months out of the year—perhaps my favorite three months—I am a student again. It is these three months that allow me to continue to be a teacher at all, to return to the classroom with joy and enthusiasm and the excitement of newfound discoveries. I had a blast teaching a course on the American Revolution for the first time in my career this past semester, but I finished the term primarily with a list of books that I am determined to read before I tackle the class again. I’ve read five since commencement, and I thought I’d pass along a recommendation of the one I enjoyed most. 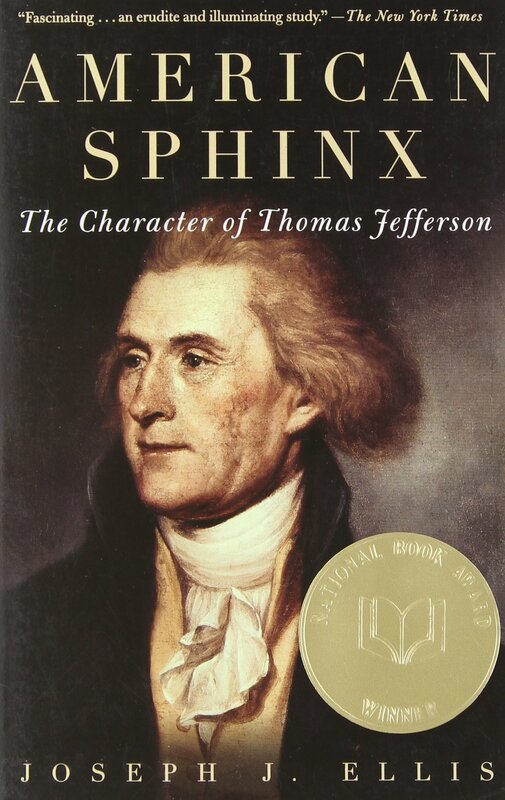 The book is American Sphinx: The Character of Thomas Jefferson, by Joseph J. Ellis. The book is hardly new (it came out in 1997), and academic historians who teach on the Revolution will almost all be familiar with it. I was not, but now I am, and I am glad. I loved it. 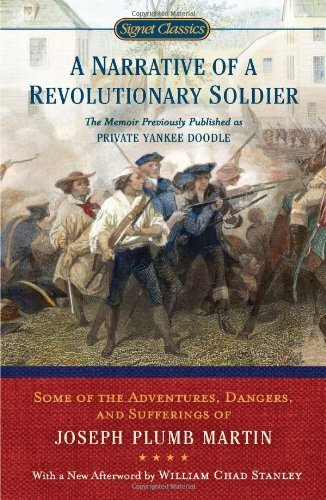 I had previously read Ellis’s later book Founding Brothers: The Revolutionary Generation, for which the author won a Pulitzer Prize. Ellis won a National Book Award for American Sphinx, and I have no difficulty understanding why. 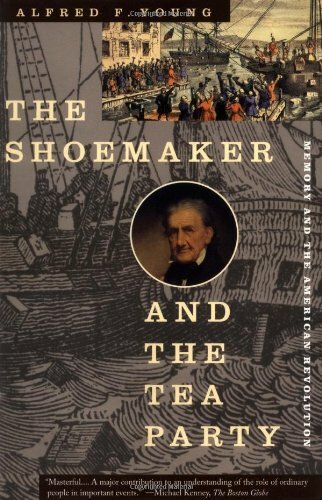 The focus of the book, as the subtitle suggests, is Jefferson’s character. Rather than craft a comprehensive biography, Ellis chose to illuminate a series of “moments” or periods in Jefferson’s adult life. 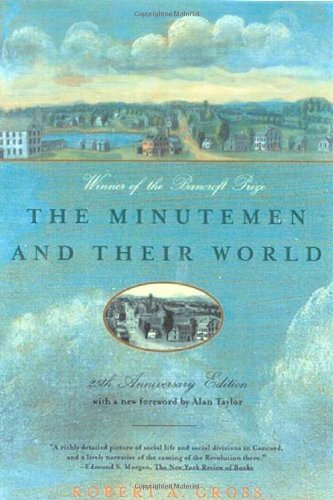 In five main chapters he examines the period surrounding the writing of the Declaration of Independence, the years Jefferson spent in Paris during the mid-1780s as ambassador to France, his brief retirement from public life in the 1790s after withdrawing from Washington’s cabinet, the first term of his presidency, and the last ten years of his life. This means that there are some important episodes that don’t make the cut, most notably the furor over the Alien and Sedition Acts in the late 1790s (including Jefferson’s authorship of the Kentucky Resolutions), as well as his controversial efforts at “peaceable coercion” as the Napoleonic Wars unfolded during his second presidential term. Since I’ve previously written about David Barton’s take on the nation’s third president (see here), it might help to begin by comparing America Sphinx with Barton’s The Jefferson Lies. Most obviously, American Sphinx is a scholarly book, whereas The Jefferson Lies is a polemic by a political activist who has very little sense of what it means to think historically. Ellis’s Jefferson is three dimensional and complex; Barton’s Jefferson is a cardboard cutout who looks a lot like David Barton in knee breeches and a powdered wig. Ellis refuses either to idolize or demonize his subject. Time and again he sketches Jefferson as complicated and contradictory. He idealized the yeoman farmer (those who till the earth “are the chosen people of God, if ever he had a chosen people,” Jefferson rhapsodized in Notes on the State of Virginia), but he actually spent very little time in the fields himself and, in the main, found farming boring. He preached the virtues of republican simplicity but denied himself few luxuries, living almost his entire life beyond his means and dying on the verge of bankruptcy. Most notoriously, he spoke passionately about the evils of slavery, but offered no realistic suggestions for addressing the institution and took almost no concrete steps himself, other than freeing five members of the Hemings family in his will. The easiest conclusion—made by many in Jefferson’s day and since—is that the master of Monticello was an incurable hypocrite, that duplicity was woven deep into the fabric of his being. Ellis refuses to make this leap. 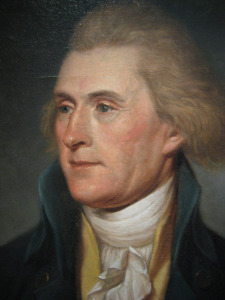 Admittedly, some of the ways that he describes Jefferson tiptoe right up to the line of moral condemnation: Ellis concedes that Jefferson regularly told correspondents what they wanted to hear, regarding “candor and courtesy as incompatible.” He possessed a remarkable “psychological dexterity” that allowed him to rationalize or disregard contradictions, a “cultivated tolerance for inconsistency” that served him well. Does Ellis have Jefferson pegged? Perhaps. I don’t know Jefferson well enough to say at this point, but I have no qualms about endorsing American Sphinx. Ellis’s sketch of Jefferson is definitely plausible, and for the most part I find it persuasive. Beyond that, Ellis does several things in the book that I admire greatly. Ellis is also adept at physical description. In graduate school one of my mentors was skeptical of anything that even hinted at artistic embellishment. The historian’s job as he conceived of it is to explain what happened, period. Details that had nothing to do with the chain of causation are details that need not be mentioned. His entire philosophy of historical writing was encapsulated in a rhetorical question still seared into my memory: “Who cares that Taft was fat?” Who cares indeed? And yet, he is not just making things up, filling in the gaps in the historical record with the product of his own imagination. Every detail is meticulously documented. Historians who make the past “come alive” can often mislead us about what they are doing, so that the reader comes to think of the historian as akin to a reporter whose job is merely to stick out a microphone and let the facts of the past speak for themselves. Ellis does as good a job as anyone I knew of simultaneously telling a compelling story while making clear that the past is complicated, that our knowledge is incomplete, and that a living, breathing historian is making ongoing subjective judgments in crafting an interpretation. It’s a rare accomplishment. Finally, I very much admire that Ellis has written this book for a broad audience. At the risk of sounding corny, he knows that his subject belongs to America, not the Academy. Ellis begins American Sphinx by noting Jefferson’s enduring relevance to Americans’ sense of national identity. Americans of a broad range of backgrounds and political persuasions see Jefferson as key to understanding the meaning of the nation’s founding; they are perpetually determined to figure out the Jeffersonian answer to the challenge of the moment. Ellis sketches briefly how Jefferson’s belief in the sovereignty of the states within a larger system of federalism became a casualty of the Civil War. His vision of an agrarian America and his hope that “our workshops [might] remain in Europe] was shattered by the massive industrialization and urbanization of the late-19th and early-20th centuries. Jefferson’s urgent plea for limited government was categorically rejected during Franklin Roosevelt’s New Deal, and his fear of a large standing army was brushed aside by the perpetual mobilization of the Cold War. This last leads to my one significant disappointment with American Sphinx. Given his preoccupation with Jefferson’s character, Ellis pays surprisingly little attention to Jefferson’s religious beliefs, and this book is not the place to explore that topic. I have written elsewhere on Jefferson’s complicated religious beliefs and so I’m not going to plow that ground again, but next time I do want to follow up on one other aspect of Jefferson’s influence that Ellis largely passed over. What is living today in the philosophy of Thomas Jefferson? No answer to that question is complete until we have spent some time thinking how the ghost of Thomas Jefferson continues to haunt the American Academy.